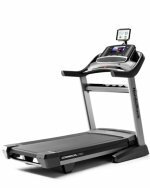 Buying a treadmill is a significant investment, which is why you need to make sure that the model you pick is right for your body’s size and shape as well as your walking or running gate. If you purchase the wrong kind of treadmill, you may not get the most out of your workouts or not be able to use it at all. If you are extra tall or plus size, this becomes even more important. Fortunately, there are plenty of options available that will be a perfect fit for your specific needs. If you are tall or long legged, then there will be a greater distance between your steps than a person of average height and build. Walking on a standard treadmill belt could prove hazardous as you may put extra pressure on your joints to stay within the confines of the belt or overstep it entirely and wind up slipping off. 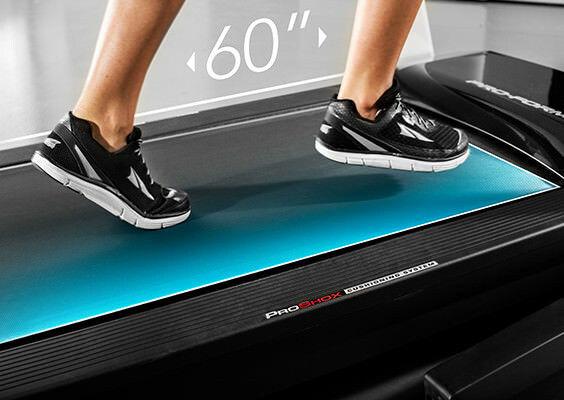 Fortunately, there are treadmill models such as the Nordictrack C 1650 that have an extra-long deck, providing the necessary room for tall people to use the machine properly, even in a full run. If you are plus size or have thick well-muscled legs, then you will also likely have a wide gait. This can be a problem when using a standard treadmill because you will constantly be throwing your balance off to stay on the belt. This can put extra pressure on your ankles and joints and create an increased risk of tripping. 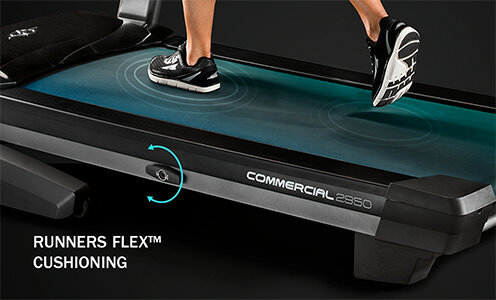 To combat this problem, look for a treadmill such as the Proform Pro 9000 which sports an extra wide 22” wide belt. This will allow you to walk the way you are supposed to without risk of injury. If you are carrying extra weight, then you will also want to look specifically at the construction of the belt and more specifically, its padding. All treadmill belts have a top layer made of a harder material such as PVC and a padded under-layer made from cotton, polyester, monofilament, urethane, or some combination of these materials. More weight put on the treadmill means more wear and tear for the belt and a need for more shock absorbency so that the user doesn’t hurt themselves. To combat the extra force being put on the treadmill, first look for a belt that is multi-ply rather than single ply. This means that the top layer will be comprised of multiple layers of PVC and as a result, will be much more durable. Next, look for a padded under layer that is extra thick, but not entirely cotton. Even though cotton has the highest amount of shock absorbency, it also breaks down the fastest. Instead, look for a cotton-poly or monofilament blend to provide both cushioning and durability. More weight on the treadmill also means that a more powerful motor will be required to keep it moving fluidly. This factor is increased even more for joggers and runners, as each impact from their feet will be higher. Look for a treadmill with at least 2.5-3.0 continuous horsepower (CHP) for strictly walking, and at least 3.5-4.0 CHP for jogging and running to prevent the motor from seizing. Taking all of these factors into account will ensure that you choose a treadmill that fits your body like a glove. Making a smart choice to begin with will not just make the equipment more effective, but will keep it running like new far longer. Most importantly, you will get the most out of each workout.